Once upon a time there was a man and his wife. They had wanted a child for a long time, but had never had one. One day a miracle happened and the woman gave her husband the news that they both had so long wished for - they were going to have a baby. The man and his wife lived in a house with a small window in the kitchen, overlooking a beautiful garden full of fresh vegetables and flowers. Unfortunately there was a high wall of barbed wire all around it, and no one ever entered it, because it belonged to a mighty witch, who everyone was terrified of. One day the woman was looking out onto the garden, when she saw a bed filled with fresh radishes. They looked so enticing that she began to want some. This went on for days. 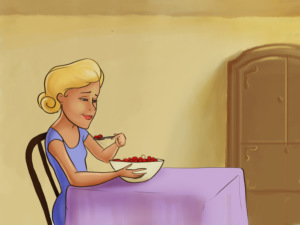 She knew she could not get the radishes, and she got more and more feeble by the day. Her husband was worried about her, and asked, "What is the matter, dear wife?" "I feel like I will die unless I can eat some of those radishes that grow in the witch’s garden." The man, who loved his wife very much, thought that he would rather get caught by the witch than lose his beloved. 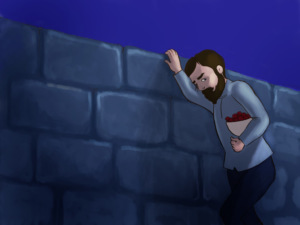 He waited for night to fall so he could climb over the wall into the garden. Unseen by anyone, he quickly plucked a handful of radishes and took them to his wife. She made a radish salad, and ate to her heart's content. But it tasted so good, that the next day she longed for twice as many as she had before. 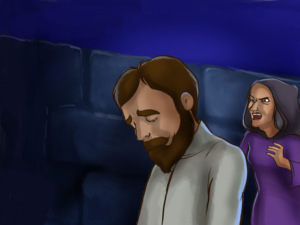 The man had to climb over the wall again if he wanted his wife to feel well. So he went at twilight again. As he was climbing back, he saw the witch standing in front of him. He was terribly frightened as she cried, "How dare you climb over into my garden and steal my radishes!" 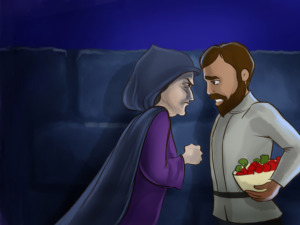 "Please, don’t judge me too hard," he answered, "I did it for my wife - she saw your radishes out of the window, and started longing for them so badly that she would have died if she could not have had some to eat." Then the witch said, "If this is the truth you may have as much radishes as you like, on one condition - you must give me your child. I will raise it like my own." The man was so scared that he promised the witch whatever she asked for. 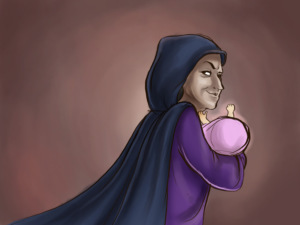 When the time came, the child was born and the witch appeared. 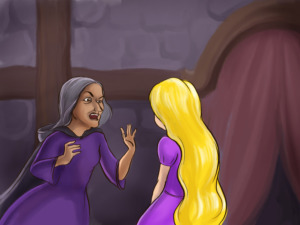 She gave the child the name Rapunzel (which means radish) and she took her away as she had threatened. Rapunzel grew more and more beautiful with every passing year. 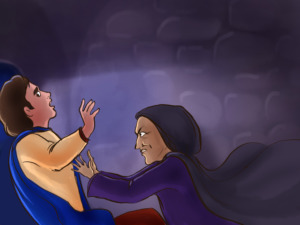 On her twelfth birthday the witch locked her up in a high tower in the woods. The tower had neither stairs, nor a door, but only a small window above. 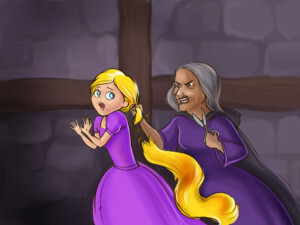 When the witch wished to be let in, she would cry, "Rapunzel, Rapunzel! Let down your hair!" 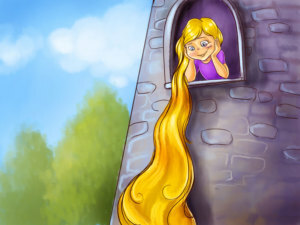 Rapunzel had beautiful long hair which shone like gold and which no one had ever cut. When she heard the voice of the witch, she would loosen her plaits, let her hair down until it touched the ground so that the witch could climb up. They lived that way for years. Rapunzel’s beauty was locked in the tower away from the world outside. 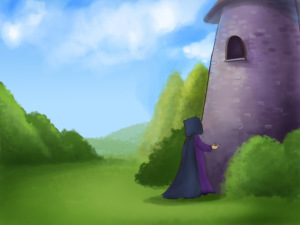 Then one day a prince was riding through the woods and passed by the tower. He heard a voice singing so sweetly that he stood still and listened. 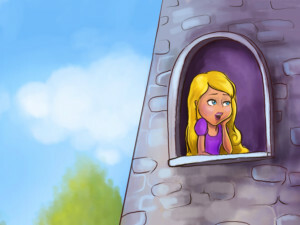 It was Rapunzel, who felt lonely in the tower and would often spend her time singing. 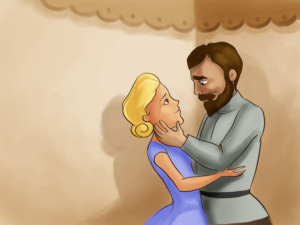 The prince wanted to meet the girl who sang so beautifully, but he couldn’t find a door to enter the tower. So he went back home, but he couldn’t forget the girl’s voice. So the next day the prince turned back to the tower and as he was standing there gazing at the tower, he saw the witch come up, and listened while she called out, "O Rapunzel, Rapunzel! Let down your hair." What happened after that really surprised him, but he could finally see the girl, who the beautiful voice belonged to. Then he saw how Rapunzel let down her long hair, and how the witch climbed up the tower. 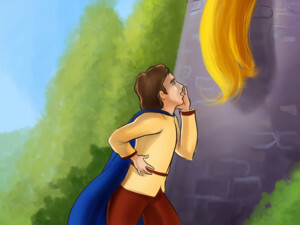 The next day, at dusk, he went to the tower and cried, "O Rapunzel, Rapunzel! Let down your hair." She let down her hair, and the prince climbed up. 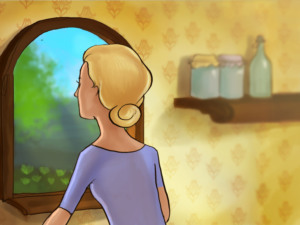 When she saw that a man had come to her room instead of the witch she became really scared. But the prince began speaking so kindly, and told her how her singing had entered into his heart, and how he could have no peace until he had seen her. 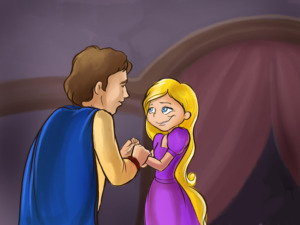 Rapunzel forgot her terror, and when he asked her to be his wife, she thought to herself that he was young and handsome and that she liked him much better than she liked the witch. She put her hand into his and agreed to leave the tower with him. She said: "I would go with you, but I don’t know how to get out. When you come, bring a rope each time, and I will make a ladder. 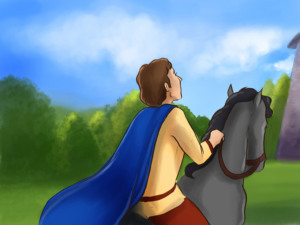 When it is ready I will climb down from the tower, and you shall take me away on your horse." They agreed that he should come to her every evening, as the old woman came in the day-time. So the witch knew nothing of all this until one day Rapunzel said to her, "Mother Gothel, how is it possible that you climb up here so slowly, and the prince climbs up in a moment?" “What is this I hear!” the witch cried, “I thought I had hidden you away from the world, and you have betrayed me!" In her anger she cut Rapunzel’s beautiful hair and took her to a desert place, where she left her to live out her days in great misery. 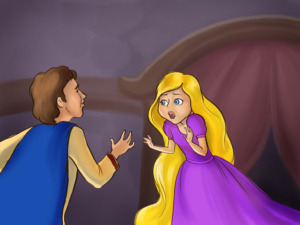 The same evening the prince came to the tower and cried, "Rapunzel, Rapunzel! Let down your hair” But this time the witch let the hair down, and the prince climbed up, but instead of seeing his dearest Rapunzel he found to his horror the witch looking at him with glittering eyes. 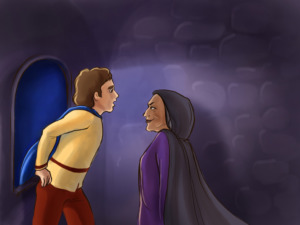 “You will never see Rapunzel again”, she told him and with those words she pushed the prince from the tower. He fell on thorns which blinded him. 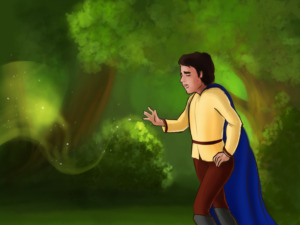 Left without his sight, the prince wandered through the woods for months, until one day he heard someone singing. 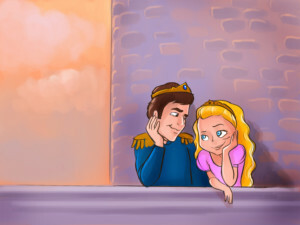 He didn't know where he was, nor could he see where she was, but he was sure that this was his darling Rapunzel singing. 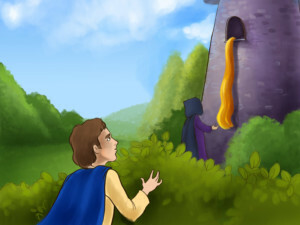 He followed the voice to come to his beloved Rapunzel. When she saw him, Rapunzel dropped the buckets of water, which she was holding and they fell into each other’s arms and cried happy to be together after such a long time. 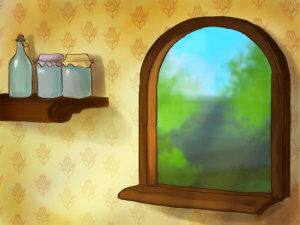 One of Rapunzel’s tears fell on his skin and in that moment a miracle happened - the prince could see again! 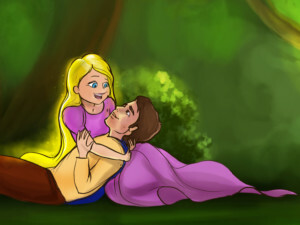 “What happened to your hair ?” he asked and touched her hair, but before Rapunzel could even answer him, another magic happened and her hair grew back - long and shining as it had always been. Then the prince took her to his kingdom, where he was received with great joy, and there they lived long and happily.